I recently was in Paris for a couple of days. I pootled around in the city using Velibs, the French cousin of the Boris Bike. The French scheme has just celebrated its fifths anniversary. All in all, both systems are great but both have their strengths as well as their weaknesses. Overall, however, from the perspective of a casual user I like the Velib scheme more than the Boris bikes. Let’s compare the different aspects of the schemes one after another. I found the Velib terminals rather confusing at first sight. They have to different sides, one is apparently for subscribers while the other one is for casual users. It was 1 am when I used the Velib for the first time, and some vin rouge might have been a factor. Be it as it may, initially I was trying to use the side for subscribers and was desperately looking for a credit card slot. I was close to giving up, buy my wife, who had only drunk Perrier, finally managed to figure it out that we have to use the other side of the terminal. 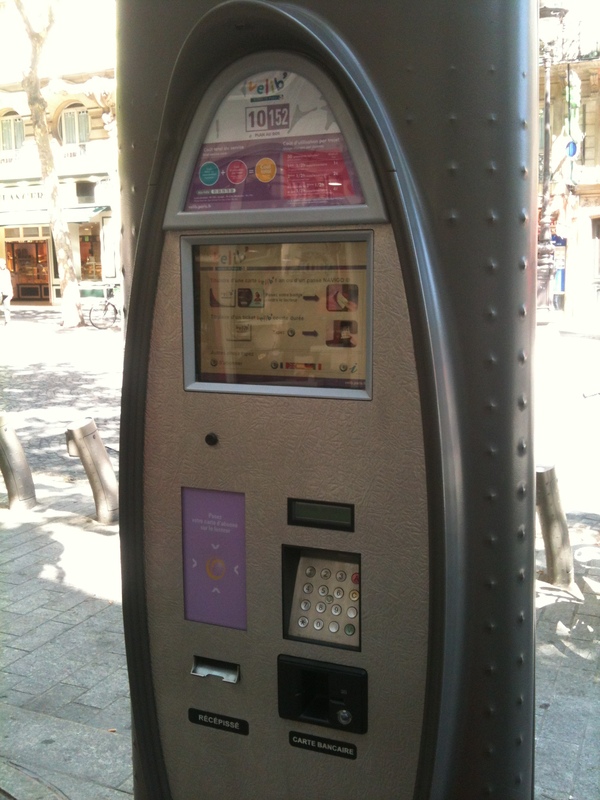 When you’re not familiar with the city, it can be rather hard to find a docking station in Paris. 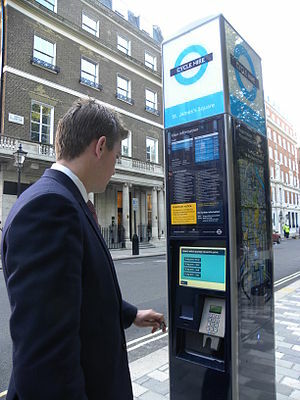 Thanks to the tall blue terminals the docking stations in London are much easier to spot. England scores, once again. I found hiring a Boris bike as a casual user really cumbersome, as I described in a different post in detail. Understanding the Velib procedure isn’t a walk in the park (I had to explain it to French guys once), but it seemed slightly easier to me. Like in London, you have to click through several screen pages and accept lengthy terms and conditions. However, one thing is much smarter than in London: The system prints a receipt which shows your customer number. It also forces you to set up a four digit PIN number when you buy your access period. If you want to hire bikes later within your access period, you just type in your customer number and your PIN number into the terminal. In London, you always have to identify yourself to the system inserting your credit card to the terminal. Another difference is that in Paris, you choose the bike you take at the terminal which shows you which bikes are available. You then have to walk to the individual bike, push a button and release it. In London, the terminal prints out a five digit number that you have to type in at the individual bike. However, the key pads are quite rubbish, as I’ve described in another post. You really the difference in a Paris. While full or empty docking station are a constant issue in London, we did not have any issues getting a bike when we wanted it and getting rid of it afterwards. Both bikes are quite similar. They come with Shimano three speed hub gears and a Shimano hub dynamo. However, for a number of reasons, I liked the French bikes much more. The Velibs have a really decent front – and back light while the Boris bikes have just some flashing LEDs. 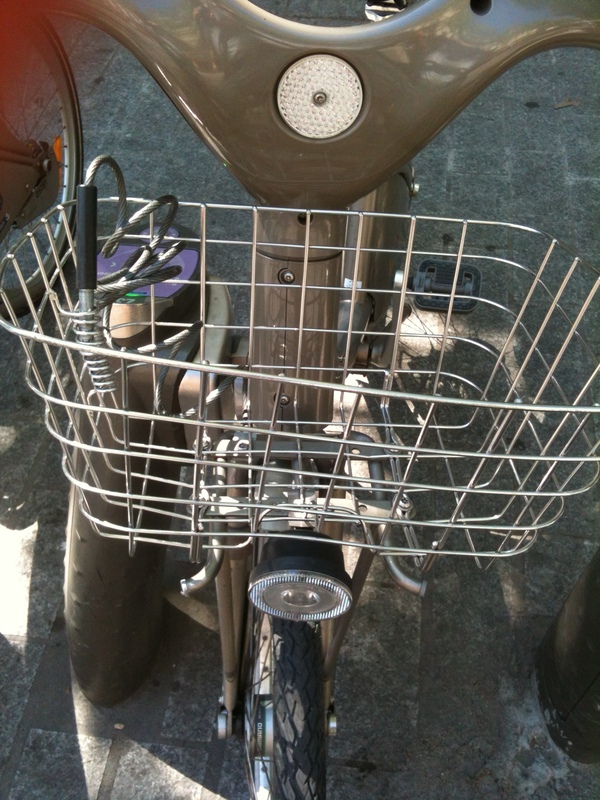 The Velib has a real front basket while the Boris bikes just have a holder for a bag. The basket is really handy because it also accepts smaller items like a travel guide or a water bottle. My gut feeling was that the Velib is a slightly faster bike than the Boris bikes. When I rode it, I suspected that it was lighter than its English cousin. However, the actual weight difference seems to be marginal: The Velib weights 22.5kg, the Boris bike 23kg. Maybe the tyres they use in Paris (Schwalbe) are better, maybe it was a delusion. For a first time user, this is much more awkward in Paris. The Boris bike docks with the entire front wheel that goes into the docking point. This is very easy and straightforward. 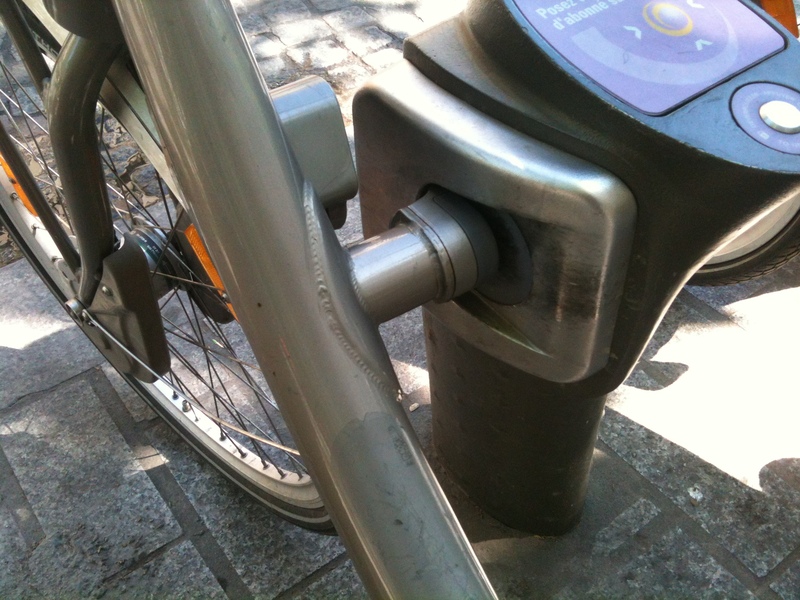 The Velib, however, has a hook that is welded onto the main frame and has to be pushed into the docking point in a certain angle. I did not understand it on the first occasion (again, it is possible that this was partly due to my consumption of red wine), but fortunately a helpful Parisian showed me how to re-dock the bike. England scores. Both schemes have a similar pricing structure. You have to buy an access period that it valid for 24 hours. It costs one Pound (1,27 Euro) in London, compared to 1,70 Euro in Paris. When you hire a bike, you also have to pay time-dependent usage fees. In both cities, the first 30 minutes of each ride a free. If you keep the bike up to an hour, you pay one Euro in Paris and one Pound in London. It becomes slightly more expensive in London afterwards. Hiring a bike for up to 1.5 hours costs four Pounds in London but only three Euros in Paris. Two hours cost six Pounds and seven Euro. Compared to what you have to pay using other means of public transport, both schemes are a real bargain, hence both score in this discipline. All in all, both schemes are really great for tourists. However, from my personal point of view, the Velib beats the Boris bike. It takes some time to understand how the hiring process works in Paris as well as in London, but it is really worth it. The Velib saved us you a lot of money that we would have spent on Metro tickets and Taxi fares. Additionally, it is nice because you see more of the city and experience it in a completely different way. Use them! Going to the Olympics? Get on your bike! * Regarding the method for taking a new bike, I personally prefer the BIXI (London) option: you put your credit card in the machine, you’re given a PIN, a you have 5 minutes to choose your bike. In Paris, you need not to lose the ticket (which is sometimes only partially printed, and sometimes also not printed at all…), choose your bike, log on to the station, hope that no one with a Navigo card steals the bike you’ve chosen in the mean time, rush to the bike and press the button to unlock it before the timeout (especially hard on big stations, as you only have 10 seconds). * Full and empty stations are also a real problem in Paris: take O’Brien’s map for Paris during mid-day, and you’ll see that the center of Paris (from Gare de Lyon to Javel along the seine, plus the Opera area) is usually nearly full, while stations in the 16th (west), 14th (south) and 18/19/20th (north/north-east) are usually nearly empty. This is currently summer vacation/touristic period, so it may be a little less dramatic right now, but you’ll definitely see this issue fully back in September! You might want to try out the the substantially cheaper to deliver alternatives, in the UK. 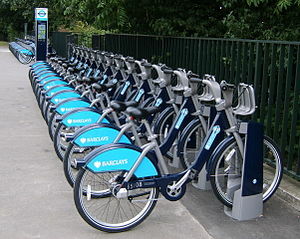 Scratchbikes – a UK version of Call-a-Bike where the bikes are a bit more expensive because they incorporate the docking station, and are simply parked at designated places. Newcastle on Tyne, where membership is included on the Go Northeast Keycard, and you get billed monthly. Brompton Dock – unlike the bike share schemes thei system does not require more docking points than bikes (typically you need 50% more docking points to ensure a supply of empty ones). Pricing is set to encourage users to keep bikes out for over a month – some users have had bikes on hire for nearly 3 years from the original manual system. No card is needed, just a mobile phone and a credit/debit card. Using SMS you can guarantee a bike or a space to return one in advance. At least 20 units are planned for 2012 and automated units are operating at Manchester Piccadilly, Stoke on Trent and Ealing Broadway stations, with earlier systems due for upgrading at Waterloo and Guildford.